Is your kiddo a fan of Little People? Then head to Kohls.com where you can order Fisher-Price Little People Friendly People Place for just $17.99 (regular $60). 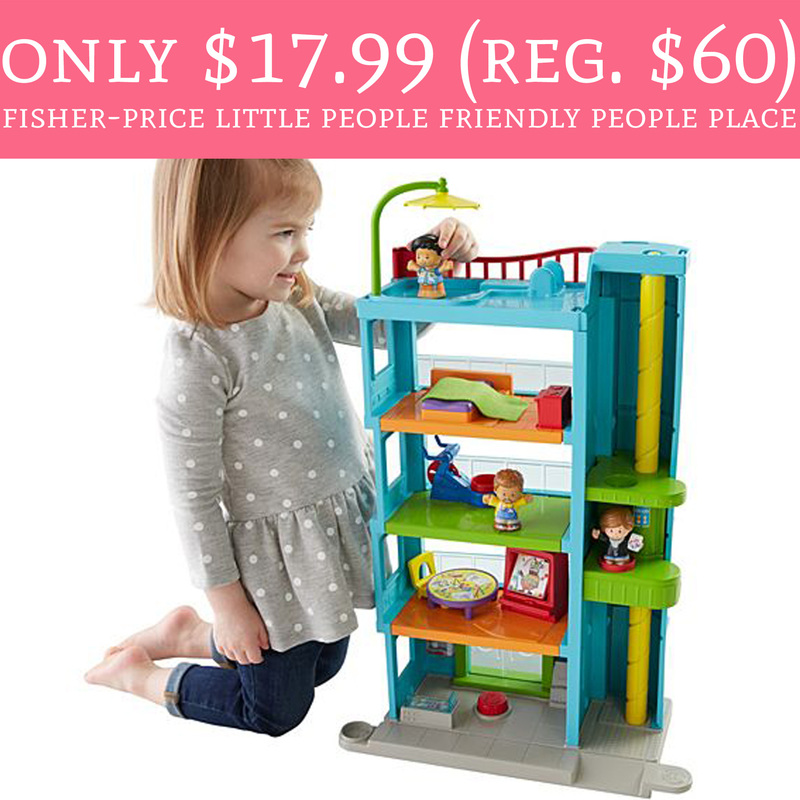 The 5-story Little People Place is currently on sale for just $29.99 and we have a super sweet double stack savings! Score 20% off with promo code TOPTOY20 (select toy purchases) and promo code DEAL25 (25% off your purchase). That makes the Little People Place just $17.99! Choose pick up in store to avoid shipping fees or spend $50 or more for free shipping. Order yours here! Choose pick up in store to avoid shipping fees or spend $35 or more for free shipping.